The annual tradition continues! 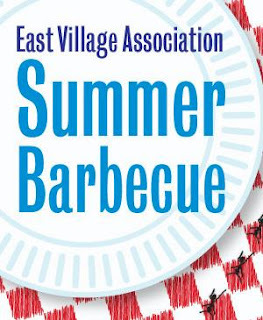 The August EVA meeting is an informal summer social event at 7 p.m. Aug. 5. in the popular outdoor patio of the Happy Village Tavern at Wolcott and Thomas. Please feel free to bring your neighbors and your favorite side dish or dessert. Main food dish provided by EVA and our sponsors. Become a member at the barbecue and qualify for an extended membership term. Special guest, Alderman Manny Flores (1st Ward). Bring your friends and meet new ones. Please let us know if you can attend, and what you are going to bring. The webmaster must approve your comments. Please be neighborly. Egg Hunt at Commercial Park! ©2019 East Village Association. Established 1982 in Chicago. Box 221344 Chicago, IL 60622. Powered by Blogger.